Whilst man has proved very effective at killing himself there is still some healthy competition from Mother Nature. The natural world contain any number of potentially deadly animals but the effects of all these put together are almost insignificant when planet Earth itself turns against us. With the exception of war and epidemics nothing kills in numbers like a natural disaster. And with the exception of an all out nuclear war nothing has the ability to kill so indiscriminately and quickly as natural disaster. In the blink of an eye hundreds of thousands can be left dead and sometimes the aftermath can be just as deadly. One of the truly terrifying things about natural disasters is they can transcend all of our technology and we are virtually powerless to stop their destruction. Perhaps the only comfort is that we have become a lot better at predicting these catastrophes and as a result millions of lives have been saved. Unfortunately this is not always the case and even in the most developed nations we can be caught off guard with devastating consequences such as the 2011 Japanese earthquake and tsunami. For the purpose of this article we shall look at the different kinds of natural disaster and the worst examples of these. I have also focused on those that have occurred in relatively modern times. Wildfires can occur anywhere there is sufficient combustible vegetation – all it takes is for it to be sufficiently dry and a source of ignition. This can come from lightning, volcanic eruption or even sparks from falling rocks. However, more commonly it is some form of human intervention that causes these fires, whether it be accidental or arson. 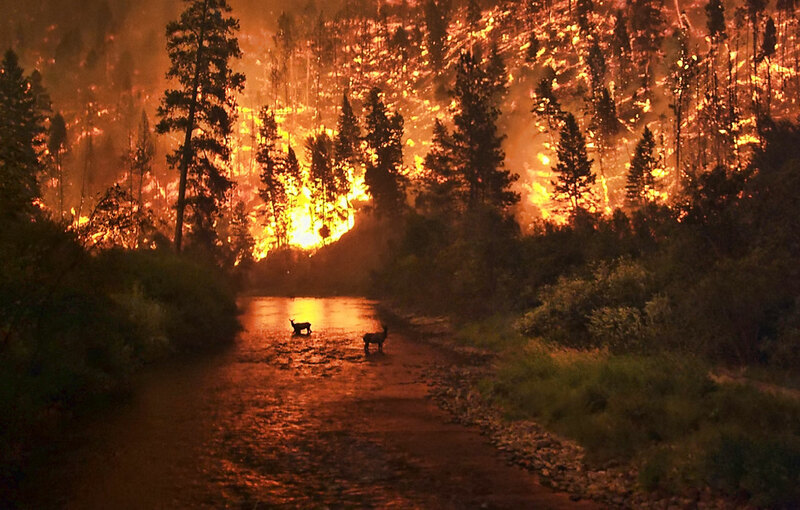 Once established wildfires can turn a peaceful woodland into hell on earth and can become virtually unstoppable. Burning at temperatures of over 800 °C (1,470 °F) wildfires also travel at great speed. Whilst in heavily forested areas they move at jogging pace this accelerates to running pace in open grasslands and can be even faster with a strong tailwind. What makes the fires particularly dangerous is their unpredictability; the fire-front can move forward, as expected, or completely change direction. Flying embers can even start further fires as far away as 20km (12 miles). One of the truly awesome aspects of these forest fires is they are capable of influencing the local weather. They can form pyrocumulus clouds, which may create lightning, and strong winds which swirl at speeds equivalent of a tornado. The deadliest wildfire ever recorded took place in Peshtigo, Wisonsin in 1871. The estimates on how many people were killed vary between 1,500 and 2,500. Over a million acres of forest were burned during the fire but it was when it reached the small town of Peshtigo that most of the casualties happened. Fanned by strong winds the fire had become a superheated firestorm with tornado-like fire whirls. Some survivors reported seeing rail cars and houses tossed into the air by these winds. It is believed the cause of the inferno was small fires set to clear farm land which were whipped up by strong winds, soon escalating out of control. 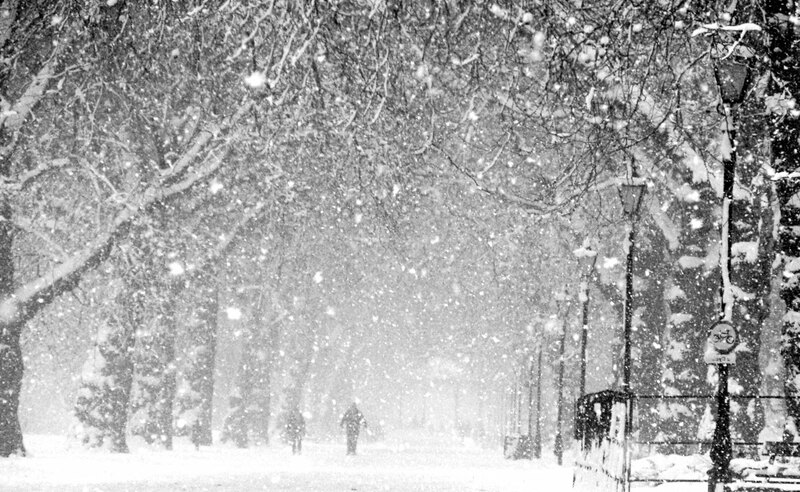 By definition a blizzard is a severe snowstorm with high winds which last several hours, if not days. The dangers of blizzards are the reduction in visibility caused by the snow being blown around, extremely low temperatures and the fact that when the snow does settle it forms deep drifts. Just being caught momentarily in a blizzard can be dangerous enough as the extreme wind chill is enough to cause frostbite. Further exposure will result in hypothermia pretty much regardless of how much clothing you have. The obvious solution is not to stay outdoors, but this is easier said than done when gale force winds make it almost impossible to see beyond the end of your nose. Many blizzard related deaths are those who are caught out while driving. With snow drifts often reaching several metres in depth cars can become buried with no way of getting out. Although this is definitely a better place to be than outside the temperature will soon begin to drop well below freezing. The deadliest blizzard in history occurred in February of 1972 in Iran. A week of extremely low temperatures and strong winds affected much of the country, but it was the south that was worst hit. With reports of as much as 8 metres (26ft) of snow falling whole villages were buried. The city of Ardakan bore the worst of the snows and in outlying villages such as Kumar and Kakkan entire populations perished. It is estimated that by the end of the week more than 4,000 people had died, mostly from being buried in the snow. Avalanches occur when unstable snow and ice on a mountainside breaks away and hurtles down the slope carrying rocks and other debris with it. There are several factors required to create the right conditions for an avalanche, for example the slope must be the right steepness; too flat and there is not sufficient gravity, too steep and the snow never builds up. Once the potential is there for an avalanche all that is required is a trigger. Now I’m going to disappoint a lot of people by telling you that loud noises starting avalanches is a bit of an urban myth. On the other hand it is a fact that over 90% of avalanche victims actually start the avalanche themselves. Once triggered avalanches pick up speed alarmingly quickly. Within 5 seconds thousands of tons of ice and snow can be travelling at 80 mph (130 km/h). 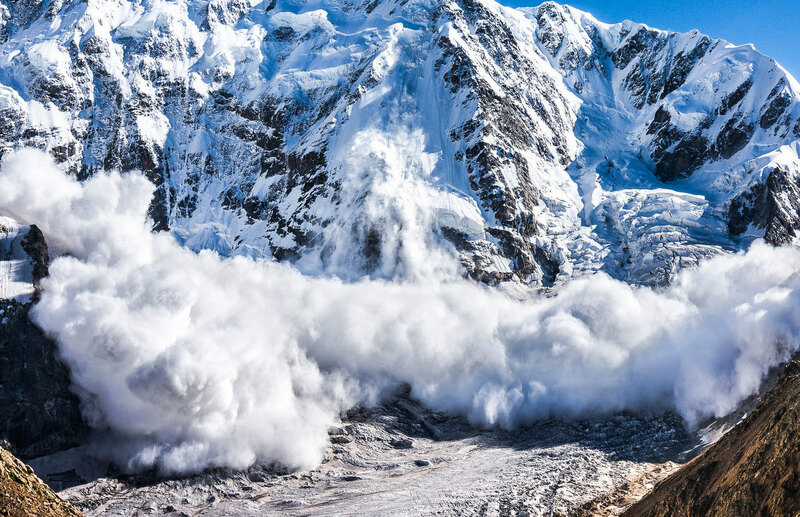 Some avalanches have been recorded at speeds of over 225 mph (350km/h). Victims of avalanches fall into three camps. Around three-quarters are killed by asphyxiation. Therefore it is essential to try and get to people as quickly as possible. Survival rates plummet after 20 minutes. Most of the remaining fatalities are caused by trauma; either from being hit by a freight train sized lump of ice or the various other debris carried along with the slide. Less than one percent die from hypothermia. Each year 150 people are killed on average by avalanches, but some years are much worse. During World War I avalanches in the Italian Alps killed an estimated 10,000 Austrian and Italian soldiers within a matter of days. The worst single event though happened in Peru in 1970. Triggered by a huge undersea earthquake off the coast of Peru, this was the deadliest avalanche ever recorded. Although the quake caused major devastation over a large area of the country it was the highland town of Yungay that suffered the worst fate. Without warning the magnitude 8 earthquake caused the glacier on the north face of Mount Huascarán to break up sending an estimated 10 million cubic metres of snow, ice and rocks hurtling down the mountainside at speeds of 120 mph (190km/h). It took only three minutes for the wall of debris to reach the valley below by which time it had picked up thousands more tons of rocks and mud. Lying in the path of this unstoppable wall of mud, ice and rock was the town of Yungay and its 25,000 inhabitants. With no time to evacuate the town was flattened and buried within seconds killing virtually the entire population. It may seem a little surprising but periods of hot weather kill more people than periods of extremely cold weather. The exact definition of a heat wave is quite elusive and varies from region to region. For example a heatwave in South Australia may require a temperature of more than 40 °C (104 °F) for three days. However, a heatwave in much of Northern Europe is 10°C (18°F) cooler. This reflects the relative nature of heat waves and how the local infrastructure is set up to deal with heat. Another factor to be taken into account is humidity; higher humidity can have the same adverse health effects as higher temperature. Heat becomes dangerous when the body is unable to effectively cool itself, which leads to heat stroke (hyperthermia). This particularly affects the young, old and infirm as cooling requires significant cardiovascular effort. When the body stops regulating its temperature its biochemical reactions are affected and essential metabolic pathways controlling vital cellular operations breakdown. The summer of 2003 was the hottest since records began in Europe. During July and August southerly airstreams brought hot air up from Africa causing temperatures to rise around 6°C (11°F) higher than seasonal averages. Although this might not sound like a large rise it was sufficient to cause an estimated 70,000 heat-related deaths across Europe. France was worst hit with nearly 15,000 deaths, virtually all elderly. It was seen as a sad indictment of French society as many of those old people who died lived alone and were unable to cope. It is said many of the bodies were not discovered for weeks with undertakers filled to capacity waiting for relatives, who were unaware, to come and identify bodies. Volcanoes are named after Vulcan, the Roman god of fire. It isn’t hard to imagine why as they form a direct portal into the fiery mantle that exists just below the Earth’s crust. You could think of volcanoes as a kind of safety valve letting out the gases and molten rock that come under massive pressure from the movement of tectonic plates. Probably the best known and most dramatic eruption of a volcano in modern history was that of Krakatoa in Indonesia. When Krakatoa erupted in 1883 it was the loudest noise ever recorded; heard over 3,000 miles (4,830 km) the boom ruptured sailors eardrums 40 miles (64 km) away. The power of the explosion was immense, releasing 4 times more energy than the most powerful nuclear weapon ever created. 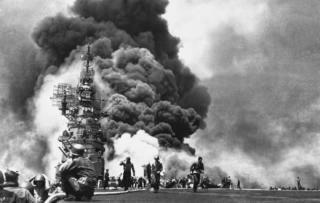 The first to dies were those on nearby islands who were blasted clouds of debris laden burning ash. However, it was not the explosion itself but the ensuing tsunami that wrought the real carnage. 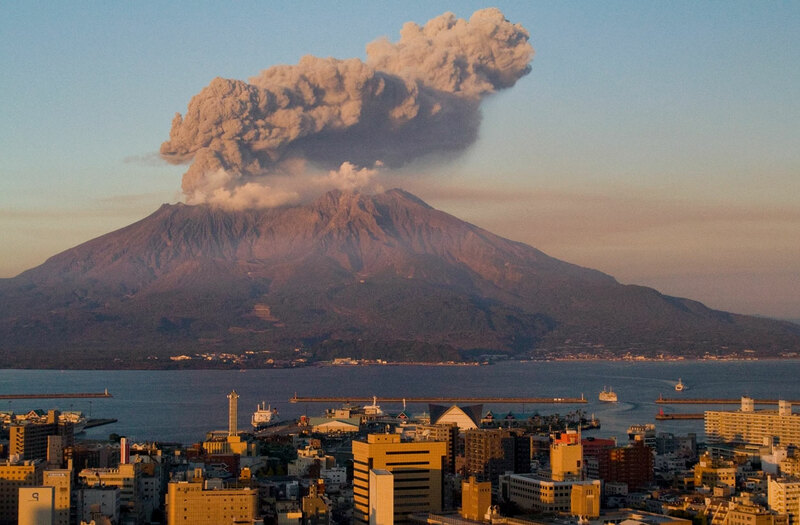 Together the eruption and tsunami left anywhere between 35,000 and upwards of 100,000 dead. Krakatoa measured 6 on the Volcanic explosivity index (VEI), ranking it as “colossal”. A score of 8 is considered “apocalyptic”. Although Krakatoa is the most famous volcano of modern times, another in Indonesia scored a 7 on the VEI and, in the long run, caused more deaths. The eruption of Mount Tambora, on the island of Sumbawa in 1815 was the most powerful volcanic eruption in nearly 2,000 years. The explosion reduced one of Indonesia’s tallest mountains to half its height ejecting 10 billion tonnes of rock in the process. This left a crater 4 miles (7 km) across and 2,000ft (700m) deep. Along with the explosion a tsunami was triggered, but not on the same scale as that caused by Krakatoa. There are no truly reliable figures on how many people were killed by the eruption itself but estimates put the figure at around 10,000. The tsunami killed many more but it was the after effects of the eruption that claimed the most lives. The ash that rained down on Sumbawa and the neighbouring islands was over 3ft (1m) deep effectively killing off all crops. Even within 300 miles (500 km) a considerable amount of ash fell. The ensuing shortages of food caused perhaps 100,000 further deaths over the next year. But it didn’t stop here. Much of the massive amount of ash and noxious gases belched out of the volcano was sent straight into the upper atmosphere where it spread around the world. This caused a significant drop in global temperatures leading 1816 to be labelled the “Year without Summer”. Crops failed around the world for two years as a result of the colder weather and the acidic rain. Whilst it is hard to put a number on the resulting deaths from famine and disease it is likely to have been in the millions. In reality tsunamis are slightly less dramatic than this but are still just as devastating when they strike. Rather than arriving as a gigantic wave and crashing on the shoreline tsunamis tend to resemble an unstoppable incoming tide which just keeps on rising and surging forward. It is often the trough (low point) of the wave which makes land fall first. This has a vacuum-like effect sucking the water out to sea, exposing the sea, floor leaving boats stranded and sea creatures flapping about on the sand. One thing that makes tsunamis so deadly is their ability to rapidly cross oceans while barely losing any power. Almost undetectable in the open ocean these waves can travel as fast as an airliner, radiating out like gigantic ripples in a pond. Tsunamis are usually not solitary waves either, they travel in what are termed “wave trains” which can contain ten or more individual waves. These may be as far as an hour apart and it isn’t always the first that is the most destructive. Usually triggered by underwater earthquakes tsunamis can wreak death and destruction many thousand miles away on the other side of the ocean. This was the case in the deadliest tsunami of modern times. Just after midnight on Boxing Day 2004 a massive earthquake struck of the western coast of Indonesia. It was the third most powerful earthquake ever recorded with a magnitude of 9.2 and releasing the energy of millions of atomic bombs. 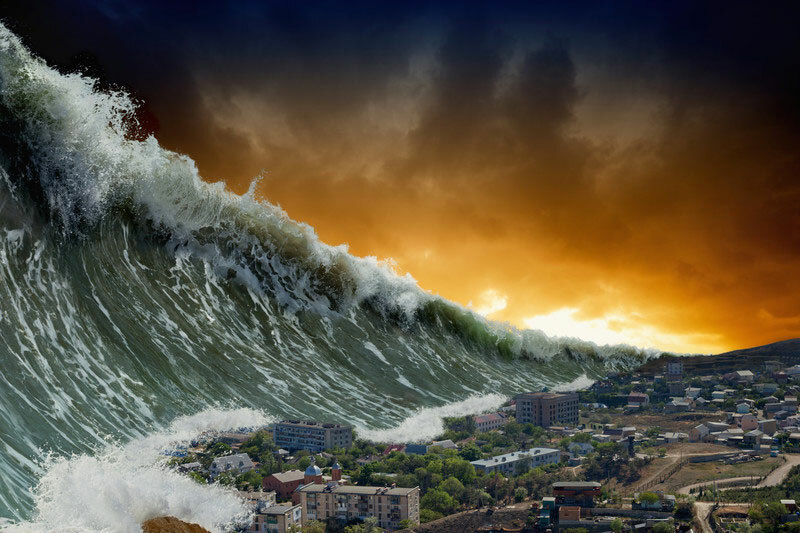 The quake caused a huge movement in the sea floor over a 1,000 mile (1,600km) fault line which in turn generated a powerful tsunami heading east and west across the Indian Ocean. Within 20 minutes the waves had smashed into an already shaken Sumatra. Measuring 100ft (30m) in height the tsunami washed over 3 miles(5km) inland going on to kill a total of around 170,000 people in Indonesia. As the wave travelled further east it hit the islands and west coast of Thailand. It was peak holiday season here and the beaches were busy with tourists from around the globe. Worst affected were the resorts of Phang Nga and Krabi with waves of 15-20ft (5-6m). Meanwhile, on the other side of the Indian Ocean, 1,000 miles (1,600km) away the tsunami arrived in Sri Lanka. With little in the way of preparation the results were catastrophic. There were 3 waves, the second being the biggest. Around the coast the tsunami ranged in size from 15ft (4.5m) to 33ft (10m) and left Sri Lanka with over 40,000 dead. Next hit was India where the wave slammed not only into into the east coast but also wrapped around to the west coast affecting Kerala. Nearly 15,000 people died in India but the Tsunami continued until reaching the east coast of Africa. Here it was Somalia that bore the brunt with several hundred confirmed dead or missing. Within 8 hours of the earthquake an estimated 280,000 people had lost their lives to the tidal wave that reached virtually every corner of the Indian Ocean. Storms have a number of names and forms; hurricanes, typhoons, tornadoes, cyclones, gales and twisters. But they all have one thing in common – extreme winds. Tornadoes are the most violent of all these weather forms with sustained wind speeds of over 300 mph (480 km/h). 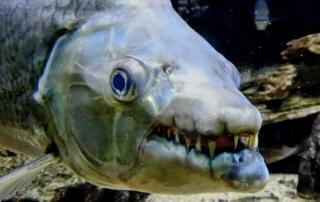 Thankfully these are too limited in their range and size to cause truly massive loss of life. The other types of storm are generally speaking the same thing but with different names according to their location. Hurricanes to refer to severe storms in the Atlantic, Caribbean and NE Pacific whereas typhoons are located in the NW Pacific, predominantly affecting SE Asia. The rest are referred to as cyclones, or tropical cyclones. However, just to confuse things, they are all technically tropical cyclones. 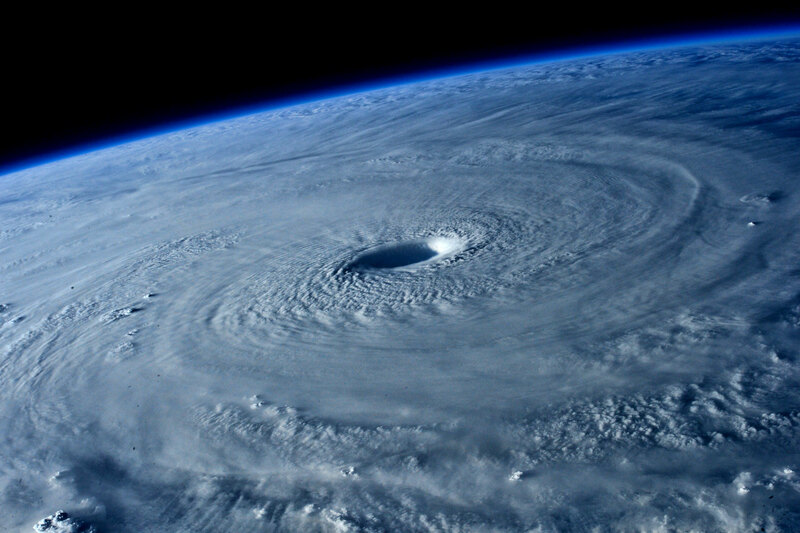 Once a storm reaches the hurricane, typhoon or cyclone mark there are several sub-categories. For hurricanes, the most severe is Category 5 and this involves sustained winds in excess of 140 mph (20 km/h). Typhoons and cyclones become “Super” when the sustained wind speed reaches over 130 mph (210 km/h). There have been many notable storms over the years. Hurricane Katrina in 2008 was the most costly storm ever, causing damage to the tune of $100 billion. The most intense storm ever recorded though was Typhoon Tip in 1979. Measuring 1,380 mi (2,220 km) across and with sustained wind speeds of nearly 200 mph (300 km/h) this tropical cyclone battered Japan. Fortunately loss of life from Tip was relatively small. For the deadliest tropical cyclone ever recorded we need to head to South Asia. The Bhola cyclone struck what is now modern-day Bangladesh in November of 1970. Classified as extremely severe or Category 4 this was not the most powerful cyclone to hit the region, but it was the most devastating. It is mainly due to the low-lying nature of the land around the River Ganges delta that makes Bangladesh so vulnerable to this kind of disaster. When the cyclone hit it was not the 115 mph (185 km/h) winds that claimed so many lives but the storm surge that came with it. This water, displaced by the storm rushed across the low-lying offshore islands and coast of southern Bangladesh like a tsunami. Estimates vary on how many people list their lives to the Bhola cyclone with the most conservative putting the death toll at 250,000 and the highest at 500,000. Earthquakes happen all the time as the Earth’s great continental plates move against each other. In fact there are around a million a year of which over 95% are only detectable by specialist equipment. An earthquake is caused by the release of the massive stresses that build up between the continuously moving tectonic plates. When they push together something eventually gives and the energy is released in the form of shock waves that travel through the earth’s surface. It is the boundaries between the continental plates where the vast majority of earthquakes originate and in particular those around the rim of the Pacific Ocean – the “Ring of Fire”. Around 80% of earthquakes occur here. The power of an earthquake is called its magnitude and this is measured on a logarithmic scale. What this means is that for every increase of 1 on the scale the force of the earthquake has increased by ten times. So in case you ever wondered why siesmologists worry about whether it was a 8.5 or an 8.6 magnitude quake there is actually a pretty big difference. The effect of an earthquake is the ground shakes, very violently in some cases. This in itself is not particularly dangerous. What causes the sometimes enormous loss of life is the effect this has on man-made structures with cities being levelled and fires starting as power lines and gas pipes rupture. There is also the potential for earthquakes to cause secondary disasters such as landslides, avalanches and tsunamis. The deadliest earthquake in recent history was in North Eastern China. It is possible that it was not quite as devastating as another earthquake in the region in 1556 it was a truly catastrophic event. Measuring between 7.8 and 8.2 on the Richter scale the quake struck early in the morning, the epicentre being the city of Tangshan, home to 1 million people. Although there was some expectation of a major earthquake in the region there was no preparing for the suddenness and violence when it struck. To compound matters the Tangshan was not regarded as being at high risk from earthquakes and buildings were not designed to withstand them. 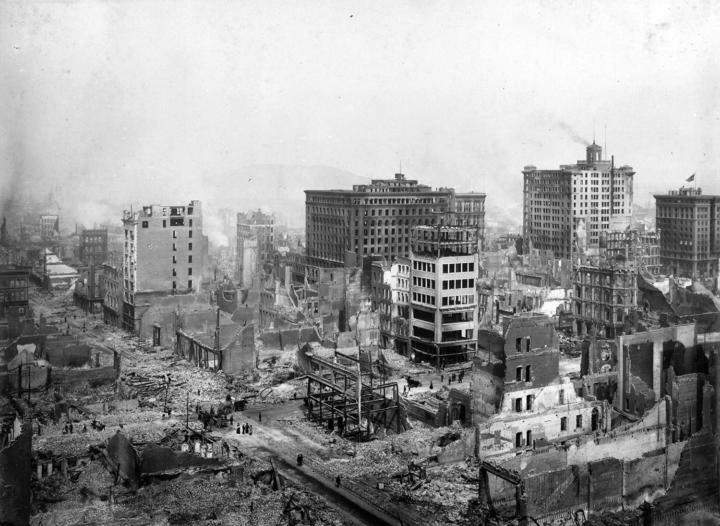 As a result within minutes of the first shock 85% of the city was turned to rubble. There is no widely agreed on figure for the final death toll. The most conservative figure is around 240,000 fatalities. However, it is believed this only accounts for those who died in Tangshan itself. 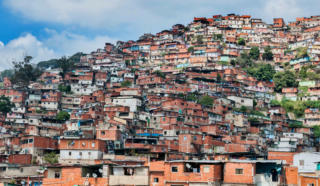 Other figures that include the entire region put the number of deaths as high as 700,000. On the face of it floods don’t sound that bad. I mean we can all swim right – so what are floods doing right up here at number two on the list? Well, anyone who has actually experienced a flood might see it a little differently. There are many causes and types of flooding but all result in lots of water being where it isn’t supposed to be. 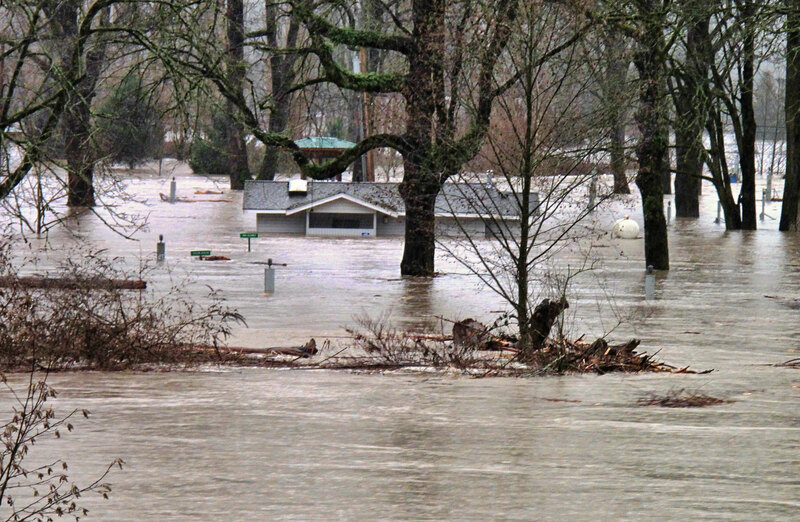 As we have seen further up the list both tsunamis and storms can result in massive flooding. Unsurprisingly the most common cause of flooding is excessive rain although melting snow can also be a source of water. Often though,the thing which make the floods so bad are some form of human impact on the environment. This can be deforestation, the building of dams, draining wetlands or even global warming. The most dramatic form of flooding is a flash flood. As the name suggests this is flood that occurs rapidly with streets being turned into rivers in minutes and hardly any warning. One of the most serious threats to life is people underestimating the dangers of these floods. It is said that water moving at 10 mph (15 km/h) can exert the same force as a 270 mph (435 km/h) hurricane. Even water moving at little over half this speed is able to move rocks weighing as much as a person. A flash flood only 2ft (67cm) deep is sufficient to carry a small car away; a fact that goes some way towards explaining why over half of flash flood fatalities are in cars. Now imagine a wall of water ten times this height travelling at twice this speed. This is what happened in the 1889 Johnstown Flood in Pennsylvania. After days of rain a dam 14 miles (23 km) upstream failed sending the contents of a reservoir careering down the Little Conemaugh River towards the town. As the water surged down the river course it picked up tons of debris including miles of barbed wires as it ploughed through the Cambria Iron Works. The effects when the flood hit Johnstown were catastrophic. Out of a population of 30,000 people 2,209 were killed making it the worst natural disaster on American soil to that date. Horrific as the Johnstown Flood was, in terms of loss of life it barely registers compared to the 1931 floods in China. After a long period of drought in China it began to rain… and rain and rain. In July alone 24 in (600 mm) of rain were recorded along the Yangtze River. As the flood waters began to rise the then capital city of China, Nanjing was engulfed in water. Water levels reached 53 ft (16 m) above their normal depths. The eventual death toll for the floods in the region that year are put by (non-Chinese government) sources at between 3.7 and 4 million people. While many died from the after effects, such as disease and starvation, most were killed by drowning in the flood waters. 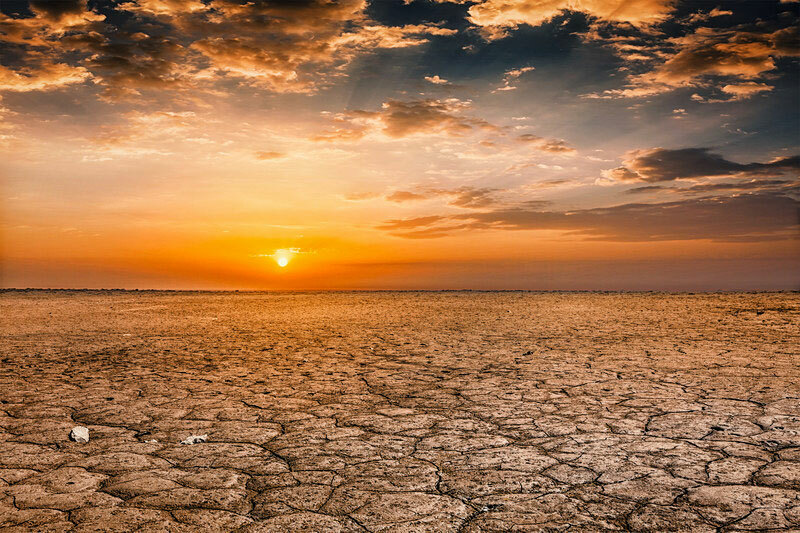 It is no coincidence that one of the Four Horsemen of the Apocalypse is Famine for it is starvation that has killed more people throughout history than any other disaster, natural or not. Throughout history mankind has been subject to the boom and bust of availability of food. From the 18th century onwards though advances in farming methods meant that much of the developed world was able to provide plentiful food for its populations. 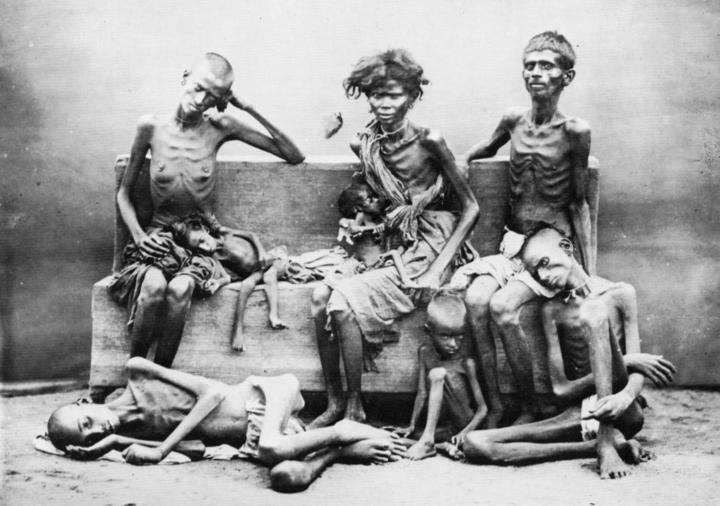 Despite this, during the 20th century it is estimated that around 70 million people died from famines throughout the world. The sad fact is that the world has more than enough food to feed itself. And whilst famines may be categorised as a natural disaster the reason can often be traced back to mankind. Often it is that other rider of the Apocalypse, War, that is responsible. Other times it is just political ineptitude where idealistic, principle driven programs fail to take into account the practicalities of food production. Combine this with natural factors and you have the greatest famine in history. Between 1959 and 1962 anywhere between 15 and 45 million people died as a result of starvation in China. Referred to as the “Three Bitter Years” this period was the combination of drought, adverse weather and the policies of Chairman Mao’s communist party. Which of these caused the greatest contribution is still a controversial topic. The policies introduced by Mao included moving peasants off the land and into the factories. Cultivation of private plots was also forbidden and farming was organised into collectives. Instead of being more efficient the collectives employed untried agricultural techniques intended to boost production. Unfortunately these methods had quite the opposite effect, as did the “Great sparrow campaign”. This involved an attempt to eradicate the sparrow which were seen as pests. One technique for this was to bang pots and pans to scare the birds from landing for sufficiently long that they fell out of the sky from exhaustion. While the eradication was pretty successful it had the unintended effect of allowing the crop-eating insects the small birds fed on to proliferate. Perhaps one of the most disturbing features of famine is that it often forces man to eat man in order to survive. In the Great Chinese famine it is said that cannibalism was practised “on a scale unprecedented in the history of the 20th century”. Famines also breed violence, either by those forcefully taking food or those dealing out “justice” to those caught stealing food. One study claims that over 2.5 million people were killed or tortured as a direct result of the famine.